Or more importantly, why are we still working 8 hours a day, when we have all experienced the struggle to concentrate on work solidly for that long? 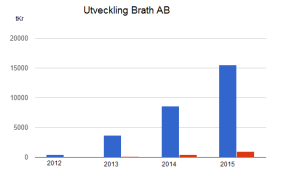 Brath is a Swedish company specialized in SEO for Scandinavia. With over 20 specialists at work we are one of the strongest teams in SEO in Sweden and the rest of the Nordics. We’ve been used as a bat in the political debate lately and I’m not complaining about that, if top politicians in the country wants to spread the word about us they are welcome. It had no touch of political statement when we decided we wanted shorter days though, we did it because we believed it was a smart thing to do. We still believe that. Before I start going on about the benefits with shorter days let me address a common misconception. A lot of commenters on articles about us claim that it can’t possible be a profitable way. How do you feel about a 6 hour work day?